For a taste of local life, grab a spot at one of the beer gardens overlooking the Swan River to experience the Perth institution of a ‘Sunday Session’ in the pub, or head to one of Perth’s many great eateries. 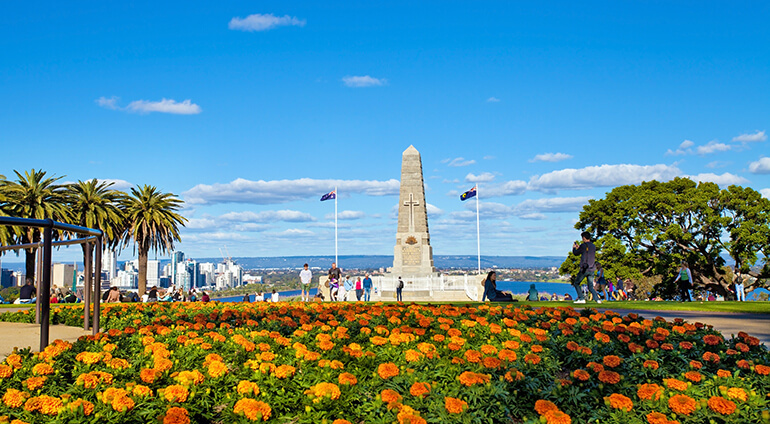 With more restaurants per capita than other city in Australia, there’s plenty to choose from. Seafood restaurants are big business here and there’s everything from fish and chips to fine dining. Perth’s multiculturalism also means there’s cuisine from around the world on offer, including Indian, Chinese, Malaysian, Ethiopian and Jamaican. Other favourite local pastimes include catching a film at one of the city’s outdoor cinemas, where you can grab a picnic and make the most of the brilliant climate. You could also visit one of Perth’s growing number of comedy clubs or pubs.